Shameful! Repulsive! Offensive! Disgusting! 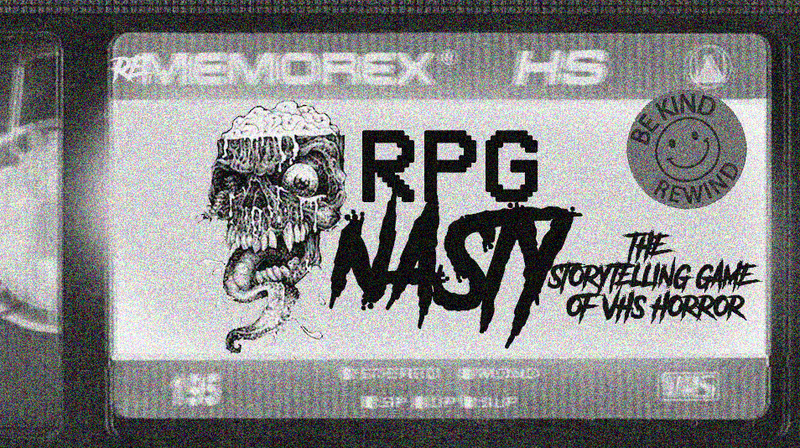 The next game in the Rememorex Line, RPG NASTY, is a one-shot storytelling game designed to evoke the bottom-of-the-barrel VHS horror of the early 80s. These schlocky masterpieces were known in Britain as the moral panic of the Video Nasties! 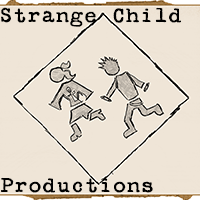 In this one-shot game you and your group will collaborate to create a crazy slasher and play the hapless victims. Don’t expect to survive: you rack up valuable tracking errors by dying in the most gross, stupid, over-the-top ways. In RPG Nasty, dying is where the fun starts. RPG Nasty is a gritty, dirty, dumb one-shot RPG based in the filthy horror aisle of your old neighborhood Video Store. Using the super-simple Omnisystem from Rememorex, RPG Nasty emphasizes player agency and the goofy gross fun of VHS cheese over the traditional horror RPG tropes- you decide when and how your character will buy the farm, and you’ll stay in the game long after your character is dead. A collaborative storytelling game of disgusting, stupid violence. “The Bone,” a brand-new system that gives players agency over their own horrific murder! Fun, lurid settings like the Amazon jungle, the inner city, and opulent Mediterranean mansions!